Oakville Mechanics with 30+ years of experience! Rust-Proofing Services with our new Partners @ Corrosion Free! 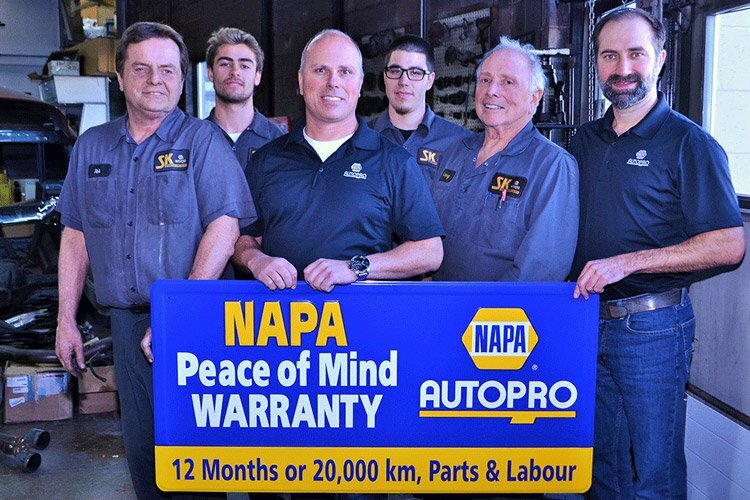 Founded in Oakville in 1971 by Larry Squires – still a family-owned and operated auto repair business We are a NAPA AUTO PRO franchise. 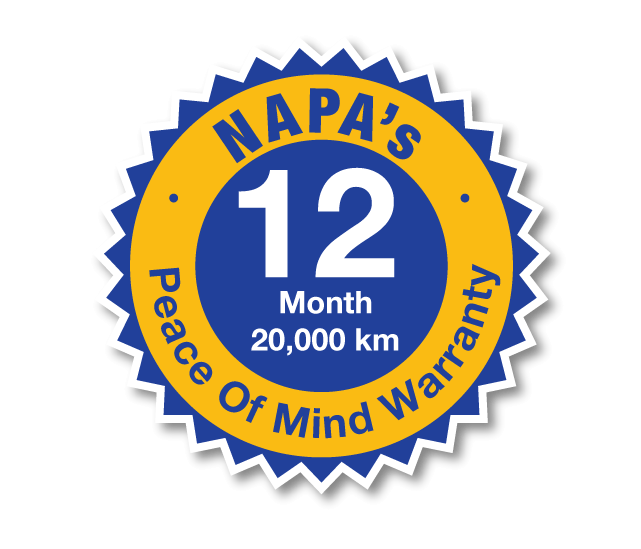 Anything we do here carries a nationwide warranty throughout Canada and the U.S ( 1 YEAR / 20.000 km ) or even longer. We are Oakville Mechanics and we provide auto repairs for all types of vehicles from Cars, light trucks, SUVs and even off-road equipment and snowmobiles. (Recommended by the APA (Automotive Protection Association) Please give us a call for any automotive-related need. Be it an automotive shop, body shop, emission testing, oil change or tire repair, give us a call and we will help you out. DID YOU KNOW? SK Automotive was founded in 1971. Pierre Elliot Trudeau was the Prime Minister of Canada, Bill Davis the Premier of Ontario. Ontario Place opened in Toronto. In the United States, gasoline went for 36 cents a gallon. We want to welcome all visitors to SK Automotive, specializing in import and domestic auto repairs for Oakville area. We are a family-owned business with deep roots in the Oakville community. Since 1971, SK Automotive has been serving Oakville and nearby vicinity, and have built a solid reputation for quality and satisfaction. SK Automotive specializes in both gasoline and diesel engine performance, offering full computer diagnosis. Our motto governs everything we do: “Fix it fast, affordably – the first time”. At SK, our reputation is earned on building customer relationships through repeat business. Whether you’re new to the Oakville area, or just looking for a dependable source of car repair services in Oakville, SK is your choice. If you have any questions about your car, be sure to call Larry or I. We promise to give you our complete attention. By providing good, old-fashioned customer service over the years, proprietors Larry and Dale Squires have gained a loyal following in the community. 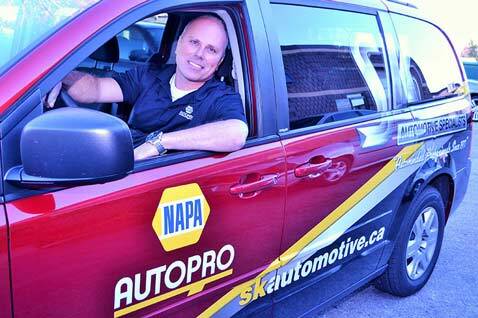 Many hundreds of area residents have come to depend on them as their local Oakville Mechanic and to rely on the technical expertise of their friendly staff to keep family vehicles in peak running condition.The success of their neighborhood business has been built on a foundation of customer satisfaction. Satisfied clients are Larry and Dale Squires’s best advertising, ‘Word-of-mouth’ referrals continue to be their largest source of new customers. Perhaps you yourself are visiting this Web site on the recommendation of a friend or acquaintance. Whether a referral led you here or not, one thing is certain: You too can entrust all of your vehicle’s service and repair needs to the team of automotive professionals at SK Automotive Specialists. Call Larry and Dale Squires today and find out what good customer service is all about! Applicant must be experienced in automotive maintenance, diagnostics and repair. Possess the ability to work in a fast paced busy environment. Full Time, Benefit package, Sign on Bonus, Competitive wages, No Weekends. Valid “S” License.